STATEN ISLAND, N.Y. -- When it came to naming their first business venture, Shane and Jenn Christie Sorrento used a Greek word that means "love, soul and creativity." 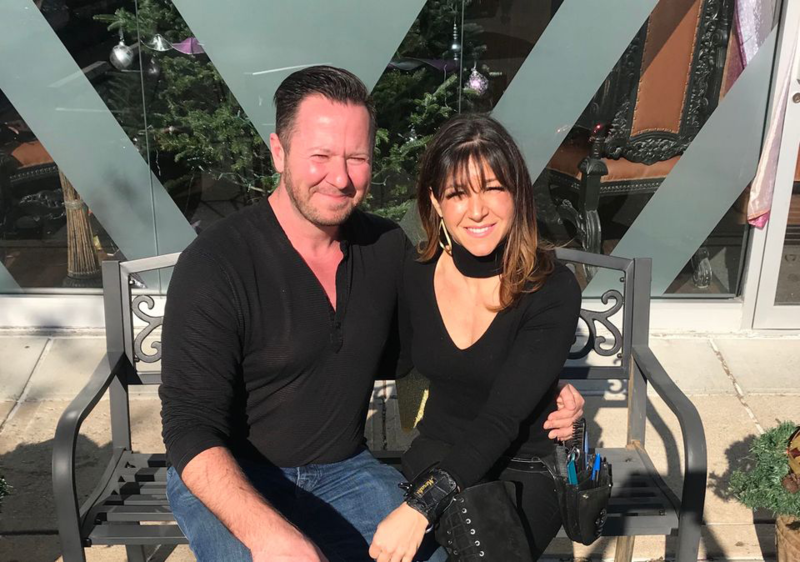 "Meraki is essentially the essence of yourself put into your work," said Shane Sorrento, who recently opened Meraki Hair & Makeup Studio By Jenn Christie, in Greenridge, with his wife. "The word Meraki signifies what we represent: Passion. And that comes across in the experience we craft for our guests." After working in the hair industry for more than 20 years, Christie Sorrento needed a new challenge. "I love teaching and training. I have been teaching and training, and grooming hairdressers and giving them their start for 20 years now," said Christie Sorrento, who formerly worked at AF Bennett as the styling floor director and educator, and has taught at the Paul Mitchell School, both in New Dorp. "I wanted to create my own brand that I could be proud of," she added. That's when her husband, who owns Apex Credit Solutions in Bloomfield, suggested they go into business together. "I wanted to do this since I was 12 years old. ...I always had a fascination with hair and color, " she said. Christie Sorrento sees the hair industry as a big part of today's fashion landscape. "Fashion changes and so do hair styles. I love evolving with the trends and staying on the cutting edge. That's why I take so much pride in education, because that's what keeps you going in this industry," she said. "There is always something new coming out, and you have to be on top of the trends and not become complacent. That's the biggest problem with this industry, people get comfortable and flat line." And this husband/wife pair, who have been married almost 10 years and have two children, work well as a team. "My wife and I complement each other, and we each have our own strengths. She manages all guests' experiences, services, guest issues and styling-related matters," said Sorrento. "I handle all the day-to-day operations, including payroll, administration, community outreach, social media and more." Said Christie Sorrento: "We work very well together. We are the basis of yin and yang. All that I'm strong in -- the artistic, creative and development areas -- I take care of that, while he's more business savvy, as far as marketing, promotions and brand outreach." In addition to a range of hair services, from the latest coloring techniques to Brazilian blow-outs, the salon also offers a host of other services, including makeup, eyelash extensions, microblading, waxing and hair extensions and more. Christie Sorrento said the best part of being a hairstylist is helping clients realize their "hair potential." "I love bringing out ways they can look that they never even thought possible," said Christie Sorrento.